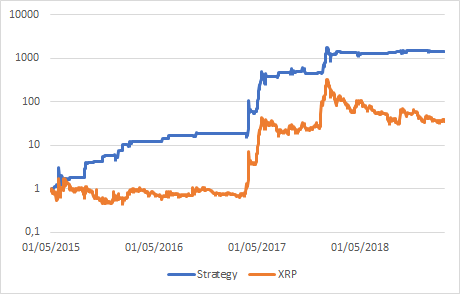 New XRP and LTC strategies — February 26, 2019. Things are accelerating on our production of strategies and diversification away from just BTC and ETH. 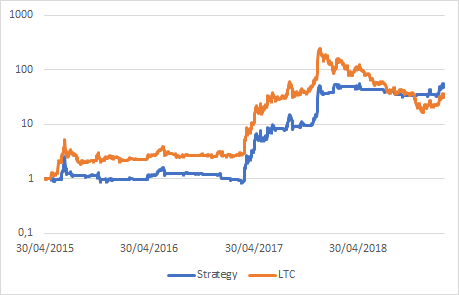 We started two weeks ago with a new strategy on EOS, and we are happy to publish our long overdue strategies on XRP and LTC cryptocurrencies. Even though it may be too early to start thinking about launching DAFs outside BTC and ETH, we believe it is interesting to provide trading signals on other large cryptos so that you would have more tools to invest in a more diversified way. The strategy is the aggregation of two primary strategies, similar to the old BTC.USD pair. As a reminder, this was made up of one strategy that takes positions on a weekly basis with a long-only trend following approach and one “buy the dip” daily strategy. This has been designed to allow trading on all platform as no short positions are included at this stage. This may come in an updated version later this year. As you can see, we are essentially capturing the moment where the uptrend is the most ferocious and being neutral when the trend is absent. This is basically a copy and paste of the a.m. strategy. We usually like to test a strategy on different assets and find out that it is still working. That reinforces the statistical value of our methodology, and in the case of cryptos, it is quite useful as there is not much historical data. In this strategy, that we have not overfitted, it is at the beginning that we lag somewhat the underlying. After that, the strategy is working nicely to capture uptrends, with at the end a much-reduced volatility. 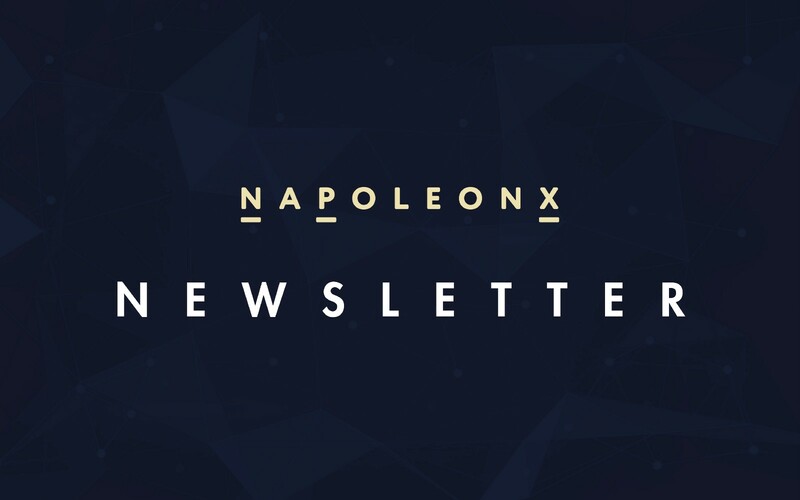 We are in the final stage of onboarding a Napoleon product on the eToro platform. The rationale behind this launch is to get some visibility amongst eToro community, which is a large retail community of traders that could be interested in our project and in the bots that will be launch in the next few weeks. We will communicate separately on this topic quite soon. So stay tuned. As always, we are coming with new ideas and new features for you. It is important that you are rewarded as you supported us in the first place. You will also be our best ambassadors in the future when people become aware of our project and will join our Telegram and our platform. It is just the beginning of our long journey to setting up this new kind of asset management business. We are now starting our marketing campaign, and as usual, we try to be creative to avoid spending money when in fact we can make some. Stephane IFRAH, CEO Napoleon Crypto.